Thor wastes absolutely no time in teaching you how to watch. Whereas most action movies would spend a full two hours building to a confrontation between the God of Thunder and Surtur (aka Asgard’s DOOM! ), Ragnarok barely wastes five minutes. Even then, Surtur’s realm-conquering monologing is record-scratched over and over by some semi-predictable gags. Modern Thor reading order! Loki! Angela! Kid Loki! Lady Sif! The Warriors Three (sometimes four)! And oh yeah… The Mighty Thor! If you’ve ever wanted to explore the God of Thunder, you won’t find a better guide to Asgard. So be it! 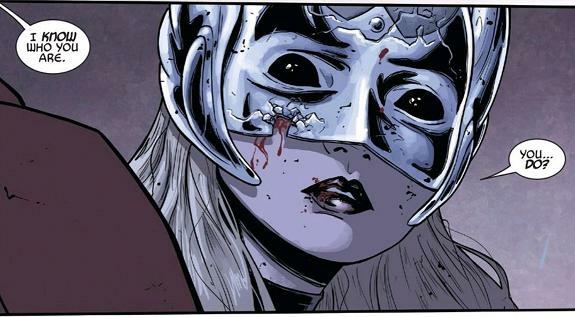 Jason Aaron has been writing Thor since 2012’s Thor: God of Thunder, now with a legacy that covers close to 75 issues. In a week already overbrimming with Gods of Thunder, the team of monthly Thor shrugs off an additional internet spoiler leak and still stands worthy. In the vacuum of the moment, that kind of pre-emptive takeaway could prove damaging- to a lesser work. Fortunately, the regulars yield anything but, turning out a superlative concluding chapter. Before reaching “the big finale”, writer Jason Aaron crams a lot into the proceedings. The forward half is the culmination of a two issue stand-off against the Asgardian Destroyer (the time-honored rite of passage for any Thor). While it is unabashedly a straight-forward fight sequence (okay, there is much bash), artist Russell Dauterman cuts loose with a lot of non-standard, angular layouts. It really helps convey the melee’s chaos- multiple powered combatants against a singular opponent forcing them all to constantly stay on the move. Kin. Et. Ic! Assisting in so small way to the dizzying visuals is color artist, Matthew Wilson. Throughout the issue, as well as the entire current volume, Wilson runs the entire palette from cold to lush and vibrant to washed-out. He also displays skills at stopping on a dime, switching-up and juxtaposing mood and lighting like nobody’s business. Sometimes this magic even occurs within the same panel! “Clark?! Superman? !” Err… not quite. Despite the fight’s anti-climactic finish (Odin realizes he’s just really old and out of touch, calling it), there’s a lot of justifiable and genuine fist-pumppery. That being said, the back-half is where things start to hit critical mass. Aside from the pronounced framing of the crescendo, the other transitions do little to actually resolve anything. At best, everything is brought to a broil if only to be left to simmer for the duration of this summer’s Secret Wars event. In that, there is reassurance. Jason Aaron shows no signs of abating his plans because all of creation, including Asgard’s cosmology, has Katamari garbage-balled into Battleworld. The current chapter may be over but going forward, knowing who wields the hammer makes everything that much more compelling. The Odinson will always have his name but the new Thor’s place is foreseeably secured. Thor #1 Review! Is It Worthy? Early fall has always been a time for fresh starts. Schools are back in session and new television shows hit the air. All around, it seems like a good time to get in on the ground floor of just about anything. Likewise, Marvel has relaunched Thor this week with a new number one as part of the “Avengers Now!” branding initiative. However, autumn is also often fraught with ominous symbolism, what with the withering, harvesting and the “winter is coming” of it all. 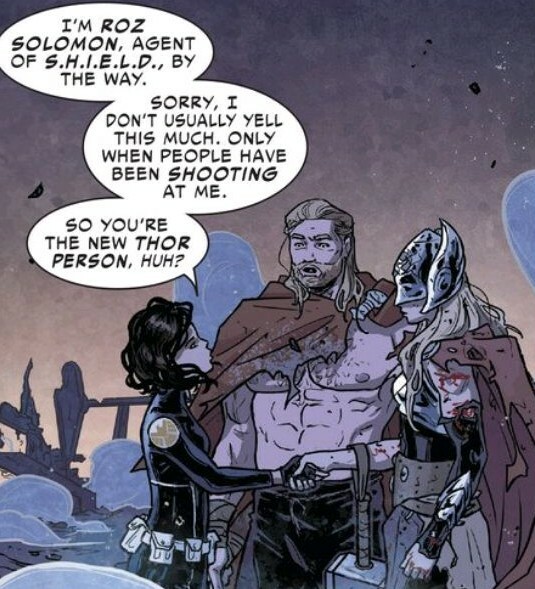 Fittingly, these glooming overtones are well represented within the latest inaugural chapter of writer Jason’s Aaron’s ongoing saga of everyone’s favorite Odinson. 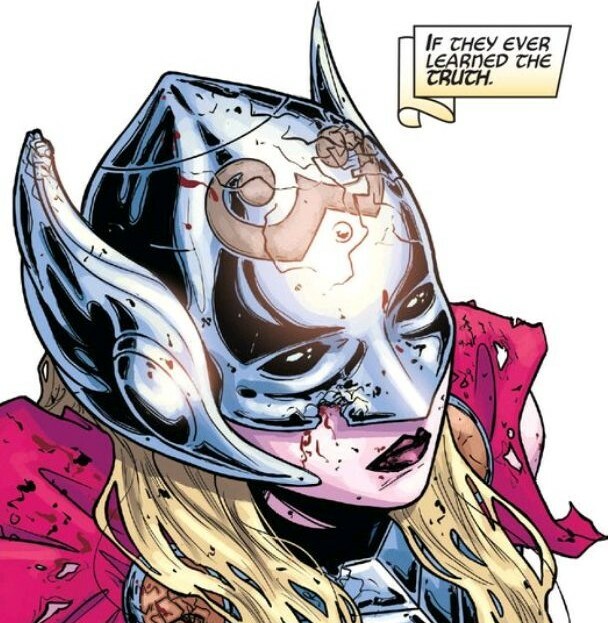 [Read more…] about Thor #1 Review! Is It Worthy?